CBS News reports that Russia appears to be ramping up its military presence in Syria. In a development that has caught U.S. intelligence by surprise, the report says, Russia has set up an air traffic control tower and modular housing units for hundreds of personnel at an airfield near Syria’s Mediterranean port of Latakia. And Russia has requested the over-flight rights to fly military aircraft into the airfield, CBS report said. The report said the U.S. intelligence analysts believe Russia is preparing to insert combat aircraft into Syria to conduct airstrikes against anti-Assad opposition forces. Some, however, caution than Russian goal might be a humanitarian relief operation. Operating out of an airbase in Latakia, Russian military aircraft, especially fighter jets, would be fighting on the opposite sides of U.S. warplanes in the skies over Syria, a potentially dangerous situation. The Assad regime, and the Iranians supporting him would benefit enormously from direct Russian military involvement in the Syrian civil war. Despite the differences in design, both bombs were based on the KH-38 multirole laser-guided missile. The initial construction was modified with wings, and its payload was also updated. If the reports are true, there is more to this than Russian intervening as a belligerent in the war on the side of Syrian Arab Republic. If--big if--reports are accurate, Russian Federation is posturing against US-led No Fly Zone and prevention of SyAAF conducting tactical airstrikes against hostile forces. There are other possibilities but relying exclusively on open-source material in interpreting what may or may not be taking place at this point in time is both inconclusive and speculative. Something is afoot for sure, Soleimani was in Moscow and so was Husein Dehghan. The images of modernized MIG-31 in Syria are all over the net. Google images shows a lot of construction activity around Latakia and Tartus. I don't believe the Russians are kidding, they will not let Assad fall or lose Tartus base. The Daesh and Al-Nusra terrorists are in-fighting and have been unable to achieve much in 5 years of most brutal terrorism and their only major achievement is causing a refugee crises. The Syrian civil war in an end game phase, and like Franco in Spain who prevailed after 4 years, President Assad and the SAA will come out on the top. The most revealing reality is the morale, elan and cohesion of the Syrian Arab Army. 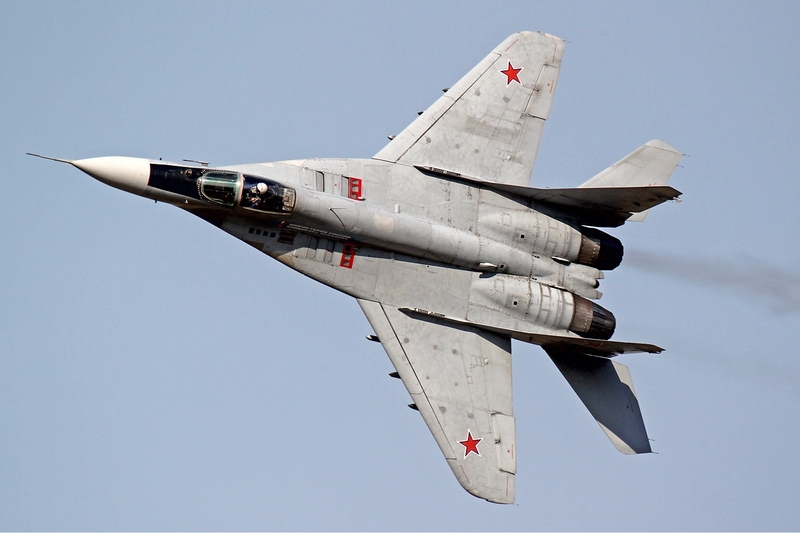 6 Mig-31s won't stop the US from establishing a no-fly zone. I think these Mig-31s will be piloted by Russians. The purpose of stationing, an up-to-date and highly advanced aircraft, like the Mig-31s to Syria (it's comparable to the F-14) is to conduct a series of tests and technical readings of USAF aircraft operating in Syrian airspace, foremost the F-22. The war in Syria and the involvement of US aircraft has given the Russian an excellent chance to evaulate the (modernized?) Mig-31s capabilities, its radar etc. Americans sent 6 F16s to Incirlik base in Turkey, in response Russians sent 6 Mig 31s to show their rivals that they will not remain passive and turn a blind eye to their conducts. More needs to be learned about Russia's recent military activity to discern its true intentions .Anybody who thinks that half a dozen Mig 31s can change the dynamics of full blown insurgency in Syria , need a sobriety test . I think Russia is bolstering its position in Mediterranean or Crimea . Please notice that; in previous years, this website claimed that "Russia is throwing Assad under bus" . Remember words of Gen. Shoigu, who had said that every action (of the West) will be adressed with our reactions, like it is in the law of physics. Russia, along with Iran, have been responsible for keeping Assad in power during these 4.5 years of civil war. At times Russia, more than Iran, has spoken about a national unity government, leaving Assad's role in such government very vague. Of course they would have preferred to keep Assad, if he could reunite the country by military force, without any needs for a political settlement, and they will prop up his regime to do just that. If convinced the military solution is not possible, then a settlement with or without Assad is preferred to total chaos. Obviously not familiar with the Spanish civil war. Franco prevailed after a similar time frame. President Assad is the legitimate head of the Syrian state and going nowhere for the foreseeable future. How appropriate, comparing Assad with Fascist Franco, right on! Fascist of not Franco provided Spain with almost 40 years of stability and set the foundations of modern state. Assad is also the only hope for Syria which will fragment otherwise, his cutthroat terrorist opponents and their sponsors must realize that the Syrian government can not be overthrown by force or terrorism. Mr. Uskowi do you seriously think that the Wahhabi cannibals are better option? if so then the current refugee crises will look like a walk in park, when Alevis, Kurds, Shia and Christians start fleeing in millions, not to mention Lebanon and Jordan's certain collapse. I don't know much about Franco , but I think that Assad's regime is by far one of the most ruthless dictatorships in Middle East . The only thing going for him is that his regime isn't as barbaric as those savage takfiri terrorists .Sadly for Syrian people , there isn't any acceptable alternative that international community could whole-heartedly support .We're all probably aware of the support that ISIL and Nusra receive from Turkey ,Saudi Arabia and UAE , but let's not forget that the Syrian regime was somewhat instrumental in ascendency of ISIL and takfiris , and should be held accountable . oh thanks sir ! i do remember !. Anon 11:45 PM, Millions of people lost their lives to stop Fascists like Franco and Hitler during WWII. By saying "Fascist or not" in describing dictatorial regimes like Franco's and Assad's you prove my point that you think dictatorships backed by militaries are the answer to the region's problem, when in fact they are the cause of the problem. If Assad had not seen military and dictatorship as the only response to Arab Spring-type peaceful demonstrations in 2011, Syria might not have been in this sorry state of affairs now. Starting with Khomeini in Iran and the Taliban in Afghanistan in '70s and '80s, Islamists in the region believed the establishment of a regime based on Velayat Faghih (on Shia tradition) or establishing of an Islamic emirate or caliphate (on Sunni tradition) is the answer to the problems facing Islamic societies in modern world. ISIL and Nusra (on Sunni side) and the Houthis (on Shia side) and other extremist Islamists are following that path. The people, especially the youths, in the region should reject the idea, the ideology if you will, that living in 21st century requires establishment of an Islamic caliphate-type government. Instead the root causes of underdevelopment, corruption and dictatorial tendencies of the ruling elites in these countries, should be questioned and come under attack. People like ISIL could not flourish and recruit in societies that corruption and dictatorship are not as prevalent.